Anke A. van Wagenberg-Ter Hoeven, PhD. Jan Baptist Weenix & Jan Weenix: The Paintings, by Anke A. Van Wagenberg-Ter Hoeven, is the result of art historical research on the work of the 17th-century Dutch artist Jan Baptist Weenix (1621-1659) and his son Jan Weenix (1641-1719). Works by both these artists can be seen in all major museums with holdings of Dutch paintings. This book fills a gap in art history and throws new light on the appreciation of Dutch art. Since 2004, hundreds of paintings have been documented as either Weenix I or Weenix II. For centuries, attributions had been confused because of the two artists’ similar subject choices and (at least for a time) similar style. Following the death of his father (and teacher), Jan gradually changed his style to conform to the more courtly taste of the late 17th and early 18th century. 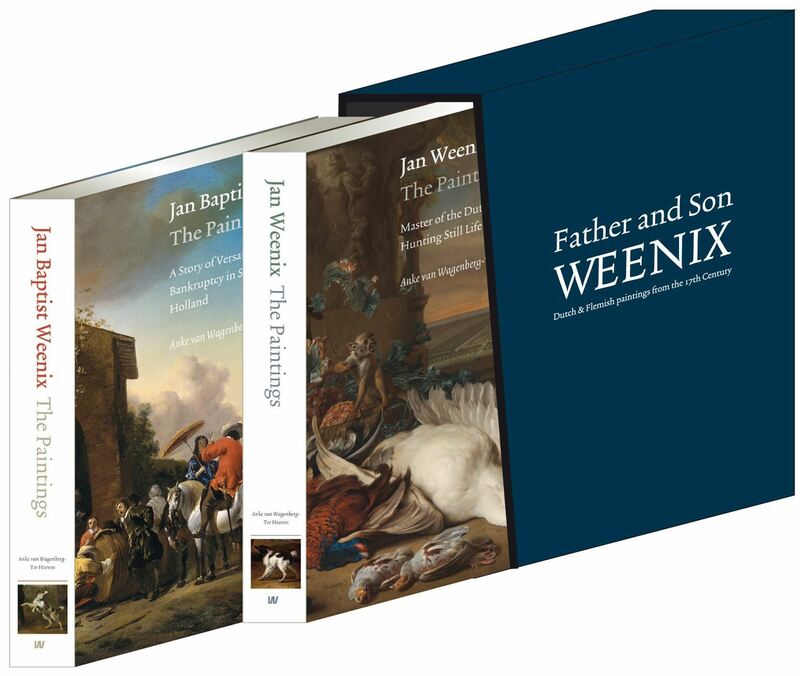 This is the first published monograph on Jan Baptist Weenix and his son Jan Weenix. This publication was made possible, in part, by a cultural grant from the Netherland-America Foundation. Join the NAF, or renew your membership now! Anke A. Van Wagenberg-Ter Hoeven, Ph.D. is a Dutch art historian. She earned her Ph.D. in Art History from the Vrije Universiteit, Amsterdam, with a dissertation on the celebration of Twelfth Night (Driekoningenfeest) in Dutch and Flemish painting, which was published by the P.J. Meertens Institute, a research institute of the Royal Netherlands Academy of Arts and Sciences. She has published in Simiolus, Print Quarterly, Artibus et Historiae and elsewhere. Anke began her art history career in 1987 at the National Gallery of Art's Northern Baroque Painting department. She then served as Curator and University Gallery at the Walters Art Museum, and, for twelve years, taught art history in the University of Maryland System and at Washington College. She has been at the Academy Art Museum, in Easton, Maryland, since 2011, where she is Chief Curator, and where she completed the research and writing for her works on Jan Baptist Weenix and Jan Weenix. She is currently documenting their drawings for a follow-up publication. Anke lives in Easton, Maryland, with her husband, Maurits Van Wagenberg.